On 1st April 2019 the national law concerning digital services, Laki digitaalisten palvelujen tarjoamisesta (306/2019), came into force. According to 2§, all universities and universities of applied sciences are included into the law’s definition of authorities. This law brings the Directive 2016/2102 of the European Parliament and of the Council on the accessibility of the websites and mobile applications of public sector bodies into effect (https://eur-lex.europa.eu/legal-content/EN/TXT/?uri=CELEX:32016L2102). There are no sanctions stated in the directive, but the national legislation gives the supervising authority the right to use penalties. that websites, mobile applications and their content are such that everyone can use them and understand their messages. Accessible services use techniques and methods that make them available through different types of data equipment and assistive technologies. Accessibility can be described as easy accessible digital services that are available also for persons with disabilities. Websites published on 23th September 2018 or later must meet the accessibility demands no later than 23th September 2019. Websites published before 23th September 2018 must meet the accessibility demands no later than 23th September 2020. Mobile applications must meet the accessibility demands on 23th June 2021. PDF-files published 23th September 2018 or later must be available in September 2020. PDF-files published before 23th September 2018 do not need to meet the accessibility demands with the exception of PDF-files in administrative processes, e.g. applications. On websites published on 23th September 2018 or later the PDF-files must be available in September 2019. Besides websites and mobile applications, the academic libraries must overlook the production and publishing processes of theses, as well as videos and other audiovisual material presenting the library’s services. The university library is usually managing the institutional repository where theses are published. In order to fulfil the accessibility demands these PDF-files must be readable with different types of technical devices. Celia – a national center for accessible literature and publishing in Finland – has collected some instructions for how to create PDF-files, and other office programme file types, so that assistive technologies can make use of them: https://www.saavutettavasti.fi/saavutettavat-tiedostot/ (only in Finnish). The recommended PDF-file format, PDF/UA, is compatible with the PDF/A-file format used for archiving. According to the information on the website of the Ministry of Finance, all audiovisual material that will be made available for longer than 14 days on the websites of the authorities, must be subtitled in Finnish and Swedish, and when necessary, also in other languages, e.g. Sami, English and sign language. This applies to, for instance, video recordings and podcasts. If subtitling is not possible, the content should be explained in another manner, e.g. in text format. Exceptions are made for live broadcasts and video recordings made available before the directive took effect on 22nd December 2016. Read more about the accessibility for time-dependent media content in the Web Content Accessibility Guidelines (WCAG): https://www.w3.org/TR/WCAG21/. In May there will be more information available on the website of the Regional State Administrative Agencies: https://www.saavutettavuusvaatimukset.fi/. Libraries find valuable information on Celia’s website: https://www.celia.fi/. In addition, the blog https://saavutettava.fi/ contains current information from the Finnish forum Design for all. I want to thank the members of FUN for their confidence in me, as I was elected chair of our network for the period 2019-2020. FUN was reorganized in 2018 from a council to a network. At the same time, the new name FUN Finnish University Libraries’ Network was introduced, as was the new logo and motto: “Fun – fuelling research”. From the beginning of 2019, the number of members in FUN has decreased to fourteen, as two universities in Tampere and their libraries have merged. The new Tampere University Library serves both the universities and Tampere University of Applied Sciences. As the director of Tritonia, a joint library since 2001, I warmly welcome Tampere University Library also to the community of joint libraries. I participated in writing the FUN strategy for 2018-20, and halfway through the strategy period I am pleased to note that the main themes – Impact – Visibility – Experiment – are more relevant than ever. There is still a lot of work to be done in these fields. Emphasizing the impact and expertise of the university libraries requires ability to make our competence visible. During the following period, we aim to start building a toolkit for impact and to benchmark international practises. The challenges of the university libraries are to a great extent the same for all universities, also internationally. On a national and global level, it is a waste of resources to try solving problems alone. During 2009-2016 I was a member of IFLA:s Continuing Professional Development and Workplace Learning Section, and those years strengthened my opinion on the need for continuous learning and for networking. The open science megatrend and the acts to promote it, such as Plan S of European research funding organizations, are fundamentally affecting our operational environment. The business models of licensed e-resources have diversified and nowadays there are a variety of open access models available, where producing and publishing data form the basis for costs. The university libraries want to promote open access solutions which are easy to use for the researchers, sustainable, and responsible. The university libraries also want to promote students’ science education for openness, through multi-step information literacy education. 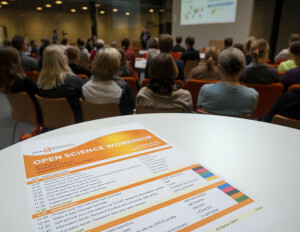 In autumn 2018, the coordination for open science was initiated in Finland, including preparations for national open science policies and action programmes. It is essential that the experts at university libraries are actively participating in this work. 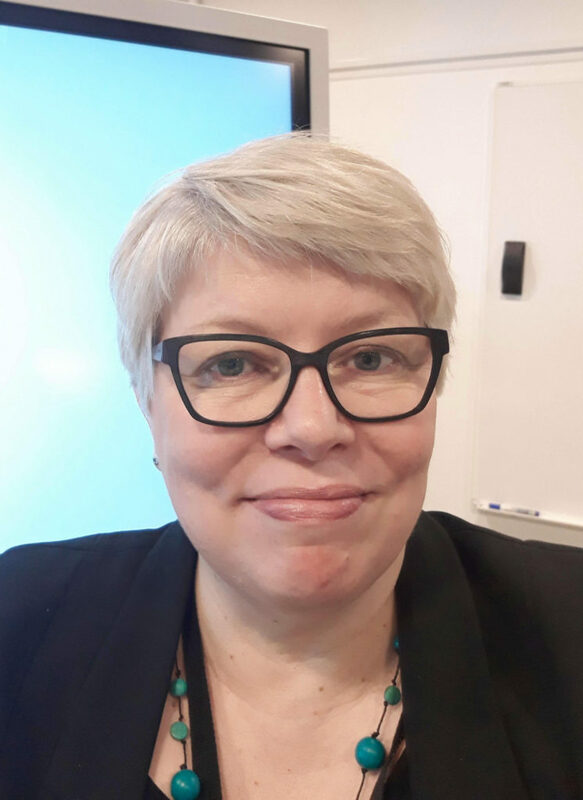 In Acatiimi 2/2019, there is an article (in Finnish) about open science services and competence needs in university libraries, written by colleagues at University of Eastern Finland (Rosti, Saarti & Silvennoinen-Kuikka) http://www.acatiimi.fi/2_2019/7.php. Continuous learning is vital for all of us in order to master research data management, data mining, AI, blockchains, as well as many other phenomenons, not even invented yet. Let us do it connectively! The proliferation of open access publishing models in academic publication provides researchers and the academic community with opportunities to share and access academic information faster and more flexibly than before. Finnish institutions of higher education and research institutes are currently negotiating with academic publishers to enable the efficient use of open publication methods. “Our goal is to simultaneously ensure that the overall costs of academic publication do not increase,” states Mikael Laakso, assistant professor at the Hanken School of Economics and member of the strategy group for the negotiations. The Ministry of Education and Culture has stated as its goal that Finland will become one of the leading countries in the openness of science and research by 2017. “To reach this goal, we must rapidly transition from subscription-based licensing agreements towards new, open access publishing models,” says Laakso. Currently, institutions of higher education and research institutes pay for academic publications through subscription fees. In an open access model, the author or the author’s organisation pays for the publication of an article. The overall expenses of publication must be examined, as particularly large publishers currently favour hybrid publication, in which a researcher whose article has been accepted for publication in a subscription-based journal can pay a separate publication fee to make his or her article open access. It is important for researchers to publish in journals which are esteemed by the academic community, even if making the article open access requires a separate fee. This model of article fees, however, generates overlapping expenses, unless the publisher correspondingly lowers the subscription fees for the journals in question. The National Library’s FinELib consortium, which represents institutions of higher education and research institutes in the negotiations, has insisted that the hybrid model, which involves both subscriptions and article fees, be considered an interim solution on the way to full open access publishing. During this transition period it is essential that overlapping expenses from the new open access model and the old subscription model are minimised. The subscription fees for academic journals represent an annual expense of about €23 million for institutions of higher education and research institutes. The exact costs of open access publishing are unknown as they are not monitored in Finland on a national level. However, according to estimates from the project Tieteen avoin julkaiseminen (Open Publication of Science in Finland), in 2014 Finnish universities paid at least €1 million to publish open access articles, and these expenses are on the rise. Open access models which would be both financially sustainable and easy for researchers are currently also being sought internationally. At the moment, several international campaigns promoting open access are underway, including the Christmas is over campaign organised by the League of European Research Universities and undersigned by several Finnish institutions of higher education. Dutch universities, for example, have been able to negotiate package deals with the major publishers Springer and Wiley which facilitate open access publishing.